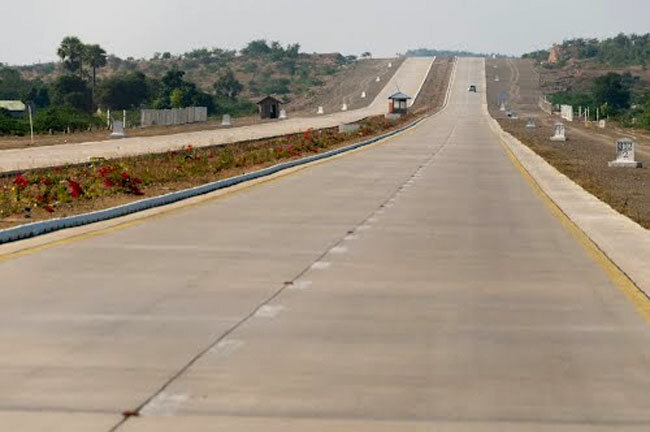 In preparation for the development of the Kyaukpyu Special Economic Zone (SEZ), the Kyaukpyu-Magway route and the No 2 Union Highway will be upgraded, according to the Ministry of Construction. The two highways are preferred connections to the zone. The SEZ is predicted to cost $280 million to build, and bid requests have been opened to foreign investors. In Burma, there are more than 90,000 kilometers of roads. The Ministry of Construction has created 35 so-called Union roads that link the north and south and an additional 45 of these roads that connect the east and west. In total, there are more than 24,700 kilometers of Union roads. In addition, a memorandum of understanding (MOU) has been signed by the rail transport ministry and Chinese officials for the building of a railroad that will link Kunming, the capital of Yunnan province, with Kyaukpyu. A study is now underway to determine if the rail line will cause damage to ancient buildings or those with religious significance. The line, according to the document, will be built according to international standards. Further, the Ministry of Energy has announced that it is running power lines to provide the electricity that the Kyaukpyu SEZ will need. Those lines will also serve the Thandwe and Taungup townships. The electricity project will be completed later this year.